If you have an above ground pool, you may be looking for ways to enhance the appearance of it as well as the surrounding land. Fill dirt is a great way to do this because it can be used in many different ways. Some of the most common uses of fill dirt include using it to stabilize the pool and to level out land around the pool. Fill dirt can also be used in other ways, such as reshaping the landscape of your backyard by adding dimension to flat land or smoothing out hilly terrain. You can get the backyard of your dreams with an above ground pool and some dirt! 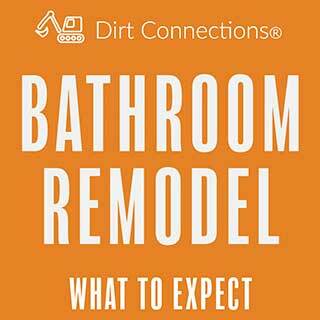 Reach out to a fill dirt contractor for more information. Fill dirt is most commonly used for construction projects small or large. Most of the time it is used for foundational purposes, ensuring that whatever goes on top of the fill dirt is resting on a strong and sturdy base. The reason fill dirt is so commonly used for this purpose is because it contains no organic matter. Organic matter is found in the top layer of dirt known as topsoil. As the organic matter breaks down over time, it enriches the dirt with plenty of nutrients to help support plant life. However, this organic matter is what also makes topsoil unstable. As the organic matter breaks down, the dirt around it begins to shift, which is why topsoil cannot be used for construction purposes. Because fill dirt doesn’t have organic matter, it doesn’t run the risk of shifting over time, making it very stable. This is also why it’s important to get fill dirt that is certified and has been screened to make sure it does not contain any toxins, organic matter, or large debris as they could compromise the stability of the dirt. Above ground pools may come with some complications that an in-ground pool doesn’t suffer from. 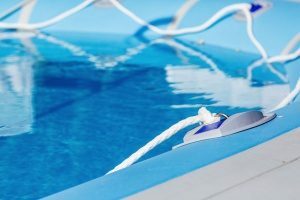 These complications primarily include having to worry about the stability of the pool and how elements such as rain, wind, and snow will affect the pool over time. To help protect your pool, all you need is a little dirt. Fill dirt can be placed around the perimeter of the pool to make it more stable. This will make sure that when your kids are having a great time in the pool, or when a windy day comes along, that your pool won’t be at risk of sliding, which could cause serious damage to the pool structure itself. Placing a large quantity of fill dirt around an above ground pool can help to cover the sides of the pool. This makes sure that your pool is not susceptible to the elements. For example, if your pool is protected by fill dirt, wind can’t wear down the exterior over time. Having your pool protected will stop you from having to worry about the regular wear and tear that outside objects are faced with. Fill dirt can be used to offer stability and to change the appearance of your pool. Above ground pools are usually seen as a more affordable alternative to an inground pool. One primary reason is because they don’t require the commitment of having a huge hole dug up in your yard. Above ground pools also aren’t as difficult to remove, and that can make them very advantageous to some people. However, despite the benefits, the appearance of an inground pool can sometimes be more desirable than an above ground one. Rather than dishing out a lot more cash to get an inground one, you can simply get the appearance of one by having an above ground pool surrounded by fill dirt. This will help it blend seamlessly into your landscape. 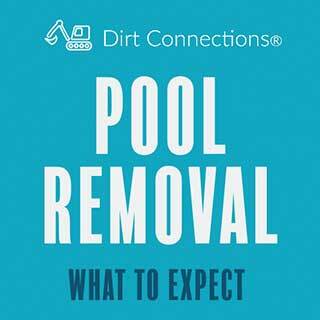 It’s important to note that you need to work with a certified professional fill dirt contractor because an above ground pool has to be surrounded by dirt properly to ensure that no damage is done to the pool. Not only will this change the entire look of your pool, but it will also help protect it from the harsh elements. Even though an above ground pool sits on the surface of your land, that doesn’t mean that you can place it anywhere you want. The pool must be placed on a flat surface, and it is recommended that the flat surface is not created, but rather is there naturally as this reduces any chance of the pool sinking or shifting. Once you have chosen your area of flat ground, you want to have some sort of foundation for the pool to rest on. Fill dirt is a great material to use as a foundation for an above ground pool. Fill dirt is used as a foundation for many things such as houses, highways, and driveways, so it’s sure to be a great foundation for your pool! Naturally, as a reliable resource, fill dirt ensures that your pool doesn’t sink or shift. One of the many great things that fill dirt can do is reshape a landscape. It can be used to create hills, fill holes, and fill dips. You can use it to help you achieve your desired look. This can be a great addition to your landscape when you’re adding an above ground pool because you can shape the land so that the pools flows with the landscape, rather than being a jarring sight in the middle of a flat yard. You should also note that fill dirt is not good for supporting plant growth. This means that if you intend to use any of the ground you reshape for a garden, you’re going to have to add topsoil on top of the fill dirt. 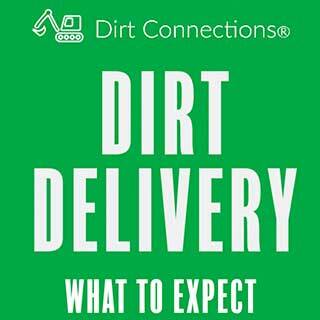 Reach out to a fill dirt contractor for any questions you may have and to schedule your fill dirt delivery.